Tired of headaches that won't go away? Botox may help! If you suffer from moderate to severe headaches on a regular basis and are unsuccessful in finding relief or do not like the side effects associated with prescription migraine medications, the cause of your headaches could be temporomandibular joint dysfunction or TMD. TMD disorders are a family of problems related to your complex jaw joint. If you have had symptoms like pain or a “clicking” sound, you’ll be glad to know that these problems are more easily diagnosed and treated than they were in the past. Some types of TMJ problems can lead to more serious conditions, early detection and treatment are important. 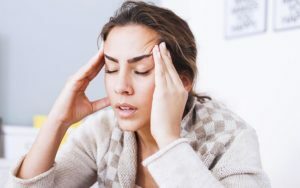 you suffer from migraine headaches because of TMD and have not found a successful way to manage the condition, Botox may be the solution for you. Botox works by making the jaw muscles unable to move in the strong, often unconscious jaw movements that cause pain and headaches, relieving jaw tension. While patients benefit from TMD appliance therapy and mouthguards, adding BOTOX therapy to your treatment can help reduce or eliminate the headaches and facial pain associated with TMD. Dr. Zimnes has completed a hands-on Continuing Education and Training Course on TMD and facial pain therapy, utilizing the BOTOX procedure from the American Academy of Facial Esthetics. She is entirely focused on the function of the mouth and jaw and does not use BOTOX for cosmetic purposes. If you are experiencing pain and discomfort associated with TMD and bruxism, BOTOX may be the answer you need. Schedule your appointment with Dr. Zimnes today to see if BOTOX is the right treatment for you! As we tend to enjoy our coffee, garlic and tuna fish (not together we hope! ), keeping our breath fresh throughout the day can be a challenge. But fear not intrepid oral health champion! There are some things you can do to keep fresh. From munching on vegetables to knowing how to floss properly, we’ve got you covered. 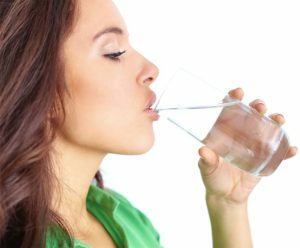 Eating green leafy vegetables, or any water-rich veggie or fruit is a great way to keep your breath in check because the water in those foods helps with saliva production … something that does help keep your breath smelling clean. 2. Brush or scrape the tongue: Your tongue is a wonderful collector of gunk. So, to keep your breath smelling fresh all day, you’ve got to keep it clean. Your dentist may have a favorite tongue scraper, so ask if they’ve got a recommendation. You can, of course, just brush your tongue as well – just be sure to aim for the back of your tongue where most of the baddies tend to linger. Worried you’ll gag? Here’s a tip for those of you with a sensitive gag reflex: keep your mouth nearly closed while brushing your tongue – doing so tends to engage our swallow-reflex instead of our gag reflex. 3. Carry the right tools: Keep a toothbrush, toothpaste, and floss on hand for when you have a delicious garlicky meal. If you’re feeling ambitious, why not keep the aforementioned tongue scraper on hand as well. 4. Water is your friend: We have a theory. People had better breath when water fountains were ubiquitous. The constant availability of water was a great thing. Remember asking to leave the classroom just to get a drink of water? Unfortunately, many of us haven’t even seen a water fountain since grade school. So, pack your own bottle. Use the sink, and fill up. Sure, you can purchase bottled water, but why waste all that plastic. Drink more water! Good for you, and good for your breath! (BONUS!) Don’t smoke: Yes. Don’t smoke. Not good for you in any way whatsoever. Want more information? Click here to read more or make an appointment!